Small and growing companies “bet the business” on their network, depending on it as the essential nerve center for applications, VoIP phones, videoconferencing, and much more. Businesses with 40-150 users want full-featured network switches that can support the full range of network applications, but without enterprise-class pricing, training, and support requirements. The ProSafe Stackable Smart Switch family delivers the flexibility, reliability, and performance growing businesses need at very affordable prices – in an easy-to-use package. Each ProSafe Stackable Smart Switch comes with 24 or 48 10/100 ports and four Gigabit ports. 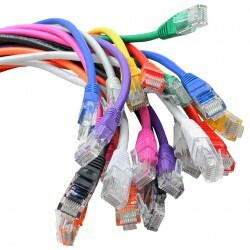 Up to 24 ports of Power over Ethernet (PoE) are also available, making these switches ideal for deploying wireless access points, VoIP phones, and surveillance cameras. 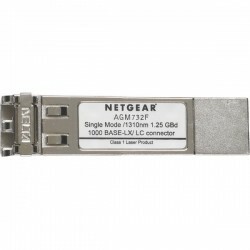 Two of the Gigabit Ethernet ports offer the option of fiber connectivity via Small Form-factor Pluggable (SFP) GBIC** slots for long distance links. A 4Gbps, dual-ring, resilient stacking architecture provides the highest reliability, while allowing you to mix and match to stack up to six units or 192 10/100 ports - and easily manage them all at a single IP address! The popular intuitive, Web-browser interface offers the Smart Switch management, making it a snap to monitor stack performance, configure ports, even set up port trunks, VLANs, and traffic prioritization. In addition, the ProSafe Stackable Smart Switches expand on the current ProSafe Smart Switch feature set by adding 801.x security, SNMP v2c and v3 support, logging, rate limiting and Layer 3 prioritization. Why buy stackable network switches designed and priced for the enterprise? NETGEAR ProSafe Stackable Smart Switches are designed for small and growing businesses – they are easy to buy and use, with all of the features you need! Expand your network as you grow your business, adding switches to the stack as you need them. Use PoE ports to simplify the installation and management of wireless access points, VoIP phones, and security cameras. Gigabit ports provide high-speed connectivity when you add more servers, or link in power users. 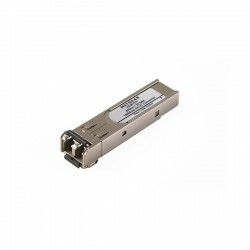 Use copper connections, or two SFP GBIC fiber slots provide optional fiber connectivity for greater distance. The non-blocking design of the switches deliver simultaneous, full wire-speed, low-latency throughput to all ports. Advanced feature set delivers the security, reliability, prioritization, and monitoring capabilities small businesses need. All ProSafe Stackable Smart Switches are made to last, with 5-year warranty and available Premium Support Packs. Redundant stacking features delivers maximum availability. Manage all ProSafe Stackable Smart Switches as though they are one unit from an easy-to-use Web console. Optimized for ProSafe Network Management Software (NMS100) and works with other SNMP based management software. Shipped ready to go straight out of the box, NETGEAR delivers switching that is easy to set up, stack-up, and use.